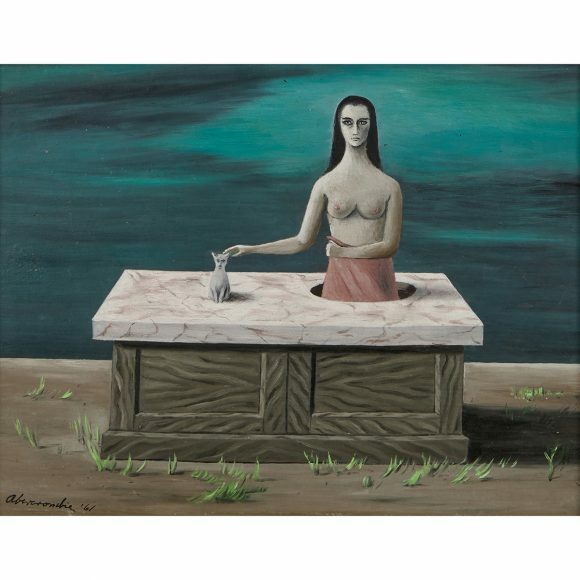 Gertrude Abercrombie was born on February 17, 1909 in Austin, Texas but is known today as the “Queen of Bohemian Art” in Chicago. She grew up as the only child of traveling opera singers and the family moved on numerous occasions, including a brief stint in Berlin just before the First World War. Abercrombie’s parents relocated to Aledo in Western Illinois in 1914 before settling in the Hyde Park neighborhood of Chicago. Abercrombie studied Romance Languages at the University of Illinois and graduated in 1929. After graduation, she took classes at the Art Institute of Chicago and the American Academy of Art. 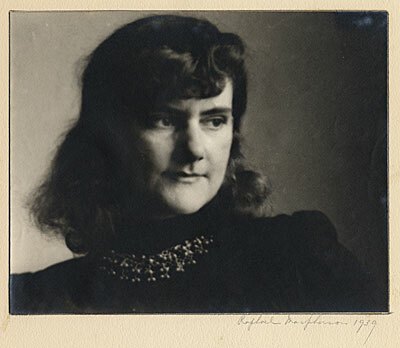 In the early 1930s, she held odd jobs as an artist and illustrator but caught her break when she was employed by the Public Works of Art Project (PWAP) and subsequently with the Works Progress Administration (WPA). Abercrombie began to develop her signature style while painting for the WPA in the 1930s. 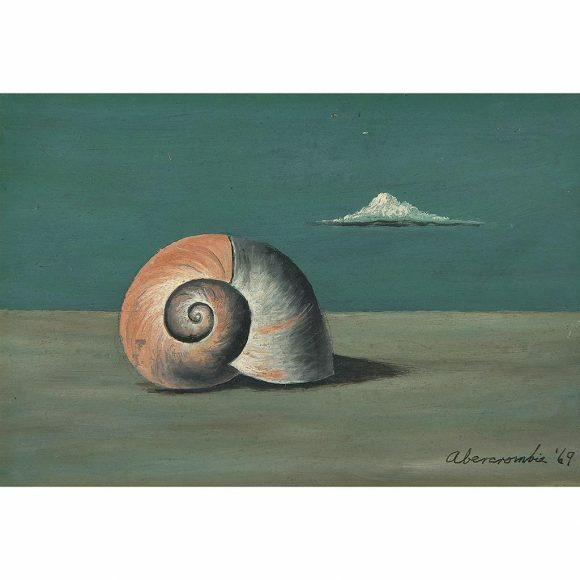 In 1935, Abercrombie met Gertrude Stein and, according to Abercrombie, Stein liked her paintings yet stated, “they are very pretty but girl you gotta draw better.” By the 1940s, Abercrombie established herself as an accomplished painter in her own right. Her subject matter and themes often include dark and dreamy landscapes and surrealistic interior scenes. 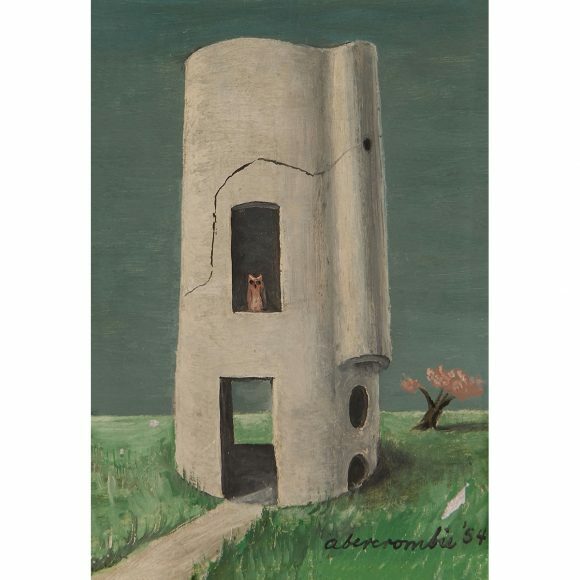 She tends to repeat specific elements in her paintings, including images of leafless trees, owls, moons, kites, stairs, doors, pensive figures, and cats. While these works might appear bizarre and estranging, Abercrombie acknowledged that they are highly autobiographical and commonly involve self-portraiture. In addition to being a painter, Abercrombie is known for her close association with Chicago’s musical community, specifically the jazz artists of the 1940s and 1950s. She hosted famous alcohol-fueled parties that included jazz luminaries, such as Dizzy Gillespie, Sonny Rollins, and Charlie Parker. One of Abercrombie’s most famous paintings is of an ominous noose hanging from a tree next to an empty ladder; it is entitled Design for Death (Charlie Parker’s Favorite Painting). In the 1960s and 1970s, Abercrombie’s health greatly declined after years of alcoholism. In 1977, the Hyde Park Art Center in Chicago mounted a retrospective of her work before she died on July 3 of that year. 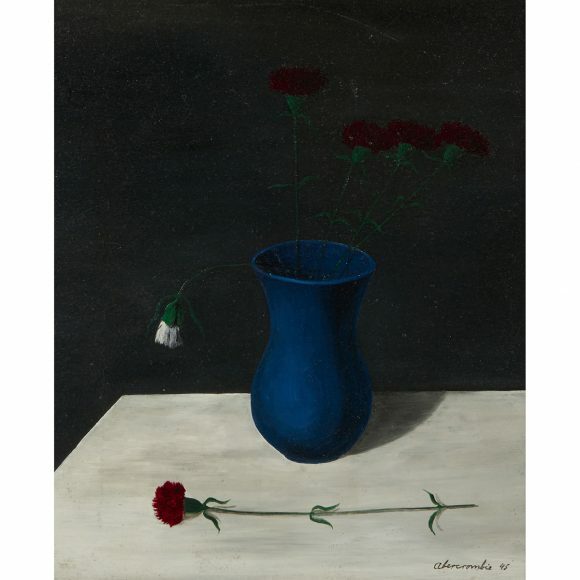 Abercrombie’s paintings can be found today in museums across the United States, including the Art Institute of Chicago, the Illinois State Museum (Springfield), the Pennsylvania Academy of the Fine Arts (Philadelphia), and the Smithsonian American Art Museum (Washington DC).